Bananas are one of the oldest harvested fruits. They are from herbaceous plants of the genus Musa. Banana plants are native to tropical areas in the South and Southeast Asia. The banana plant, often mistaken for a tree, is the largest herbaceous flowering plant. Bananas grow in clusters hanging from the top of the plant and come in different sizes and colors. 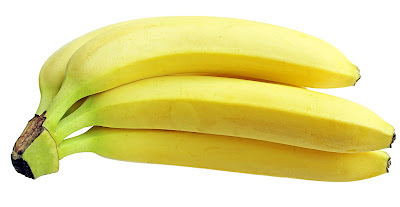 When ripe, bananas turn yellow, purple, or red. Bananas are an excellent source of vitamin B6, soluble fiber, and contain moderate amounts of vitamin C, manganese and potassium. Export bananas are picked green. These are refrigerated in lower temperatures to halt the ripening process. When ready, they are put in special air-tight rooms filled with ethylene gas to induce ripening. For tree ripened bananas, retailers immediately put them on sale since the shelf life for these fruits are limited to only 7–10 days. A solution finally may be at hand for the number one consumer gripe about America's favorite fresh fruit ― bananas and their tendency to ripen, soften and rot into an unappetizing mush, seemingly in the blink of an eye. Scientists speaking here today at the 244th National Meeting & Exposition of the American Chemical Society, the world's largest scientific society, described efforts to develop a spray-on coating that consumers could use to delay the ripening of those 6.4 billion pounds of bananas that people in the U.S. eat every year. The coating is a so-called "hydrogel," a superabsorbent material like those with many medical and commercial uses, made from chitosan, a substance derived from shrimp and crab shells. Xihong Li, Ph.D., who presented the report, noted that chitosan is attracting considerable attention in efforts to keep fruits and vegetables fresher longer due to its action in killing bacteria that cause produce to rot, low cost and other properties. Until now, however, it has not been used to slow the ripening of bananas. "We found that by spraying green bananas with a chitosan aerogel, we can keep bananas fresh for up to 12 days," said Li, who is the study's leader. "Once bananas begin to mature, they quickly become yellow and soft, and then they rot. We have developed a way to keep bananas green for a longer time and inhibit the rapid ripening that occurs. Such a coating could be used at home by consumers, in supermarkets or during shipment of bananas." Li explained that bananas, like other fresh fruit and vegetables, are alive and actually "breathing," or respirating. He is with Tianjin University of Science and Technology, Tianjin, China. Like other fresh fruit and vegetables, bananas stay alive after picking. Like people, bananas breathe, or respire, taking in oxygen and releasing carbon dioxide ― but through their skin. The more a banana respires, the quicker it ripens. Unlike many other fruits, the respiration rate in bananas does not slow down, and bananas do not ripen slowly. The banana's pulp releases a chemical that boosts respiration, and the pulp converts into the sugars that produce that sweet, banana taste. As respiration continues, however, the process speeds up, and bananas become unpleasantly sweet and mushy. Bacteria on the banana skin start to thrive and cause the banana to rot. In their study, Li's team showed that the chitosan hydrogel coating slowed down respiration and killed bacteria that cause rotting, keeping bananas fresh for almost two weeks. But banana lovers should not go bananas over the hydrogel coating just yet. Li's team is on the trail of a new ingredient for producing the hydrogel that would replace an existing ingredient that would not be used commercially. The aim of this study was to provide an overview of chitosan/PVA hydrogels and related networks formed by chemical crosslinking, which are intended for inhibiting bananas after-ripening. The structural of the system is discussed with emphasis on the mechanism of the network-forming with electron microscopy evaluations. Hardly earlier review discussed chitosan/PVA hydrogels the potential influence on preservation of fruit and vegetables. The antibacterial property of chitosan was reserved well after investigated by isolated Staphylococcus aureus and Escherichia coli. Chitosan/PVA hydrogels retained green and firmness of bananas significantly compared with pure chitosan film and the control(P < 0.05).